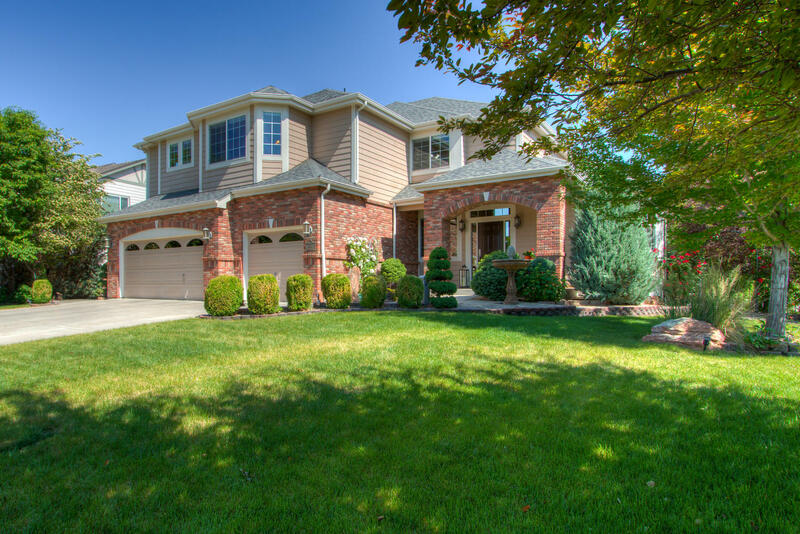 Above grade with 3 spacious ensuite bedrooms+a loft sitting area (easily convertible into a 4 bedroom)+2 Bedrooms in the lower level finished basement+6 baths+ a french door main floor den + wet bar in the basement+ a dream 3 car garage! (heated, with a workshop and utility sink!) Complete with a dog run on the west side! Newer Roof, active radon mitigation, dual zones (2 furnaces and A/C units! & humidifiers) Dual Hot H2O tanks as well! Spacious Epicurean kit with gas cooktop, double wall ovens (one is a convention oven) huge island, instant hot for the perfect cup of tea! Slab Granite, Hickory floors and cabinetry. All solid wood doors throughout with brushed nickel levers/hardware. 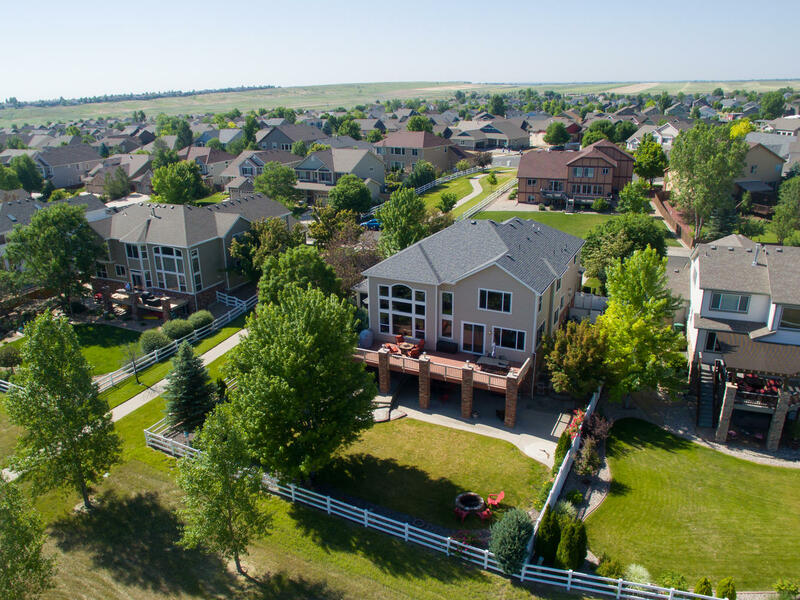 Not a detail missed, fully fenced yard with full irrigation and drip system, terraced landscaping – established professional landscaping – nicely manicured! Complete with 2 gas lines off the deck for convenient BBQs and outdoor entertaining! Exceptional views from the master suite, of Horsetooth Rock, 5 piece Master Bath with Beautiful tile work and jetted tub, and all upper level bedrooms have walk -in closets! Storage Galore! 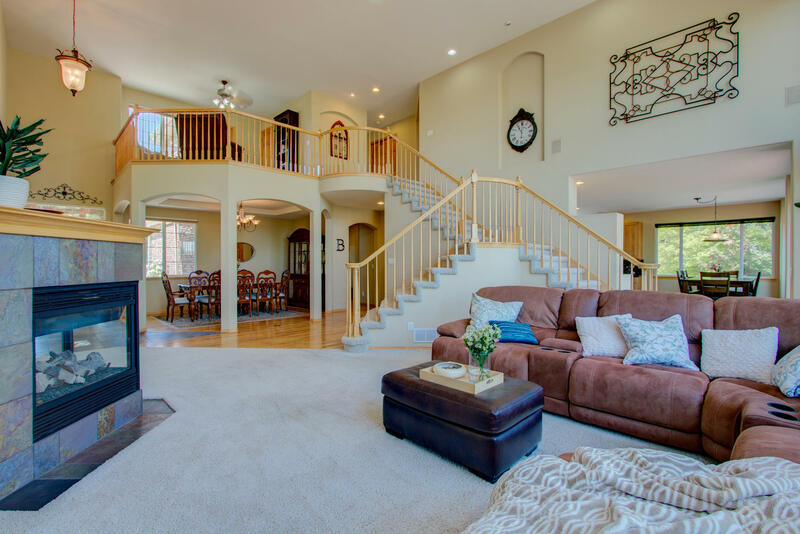 This amazing property has it all: Wet Bar, massive lower level family and recreational rooms, ideal home for entertaining, 2 story windows, solar shades, full irrigation drip lines, Built-ins throughout, and central vac! HOA is $65 a month and includes all kinds of amenities! Swimming Pool, clubhouse, tennis, park, playground area, trails, open space maintenance and management!